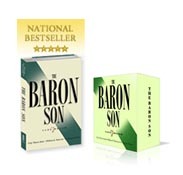 Best-selling Author By applying THE BARON SOLUTION strategies, the average person can become completely debt free including their mortgage, student loans, car loans, and credit card debt in 5-7 years using only their own income. 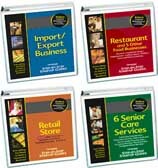 Permanently overcoming debt begins with the decision to stop using consumer debt and make ALL purchases with cash. Undoubtedly, the many years and billions of dollars spent advertising by merchants and credit card companies will bring to mind many excuses as to why you “need” credit and you’ll want to resist this important step. However, realize a 40 year-old person who pays out over thirteen hundred dollars a month in debt at a 7% interest rate for 20 years will be throwing away over a million dollars by the age of retirement. That’s right, they would be working over 20 years to make the banks and credit card companies rich, while at the same time leaving themselves with nothing. When it comes to paying off your debt, there are primarily two BARON debt repayment methods that you can choose. You can either prioritize and pay off your debts starting with the highest interest rate non-tax deductible debt or you can start with the debt requiring the fewest number of monthly payments to pay off. While it may be faster to pay off your highest interest rate debt, many people find it easier to tackle the debts that can be paid off with the fewest number of monthly payments because they can quickly see their progress and the increase in their cash flow as their debts are exhausted. Remember in order to change your situation and build significant wealth, you have to stop taking on new consumer debt and maintain minimum investment-, debt-, and expense-to-income ratios of 15-15-70. Then once you’re debt free, apply the same amount of your monthly payments toward rapidly appreciating and cash-flow generating investments. This will be essential to reclaiming your million-dollar lifestyle from the banks and credit card companies. 1580 AM to discuss the best wealth- building strategies as the U.S. economy continues to struggle and its financial markets inch closer to bear territory. As a parent or mentor, one of the most important things you can do for a young person is teach them the Laws of Wealth. These 5 simple laws will not only change their lives, but the lives of generations to come. BARON Workshop on Stock Market Investing. No Money Needed. Nothing to Cancel. *Offer available in the U.S. only. Subscribers within the last 6 months are not eligible. Best Time in 50 Years to Buy Real Estate! Have you participated in the American Dream and bought your first home? As an investor, have you learned to increase your profits with "no-money down" deals? Are you benefiting from the pre-foreclosure opportunities available in your city? If you answered no to any of these questions, this workshop will teach you strategies used by the most successful real estate investors. 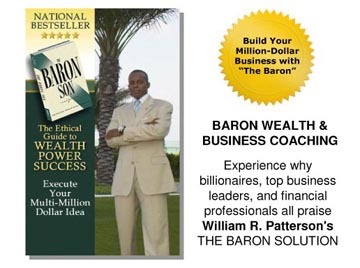 Learn why real estate is a choice wealth-builder to even the richest Americans.